Windows 8.1 Update 1 is expected to arrive in a few weeks, brings along many changes and fixes a variety of Windows 8.1 problems, which would likely to improve the user experience of latest Windows OS. 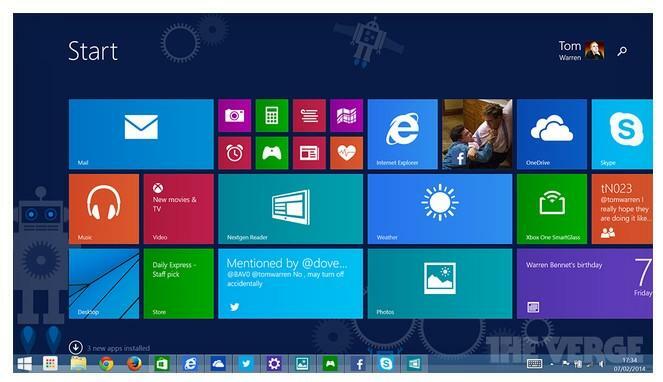 Image of Windows 8.1 Update 1 has leaked online, giving us a closer look of the desktop. Leaked screenshots suggest Microsoft wants to make it easier to shutdown PCs, with the addition of a dedicated shutdown button next to the profile image in the top-right corner of the Start screen. For the moment, if you want to shut down a Windows 8.1 PC, you have to navigate into settings or right-clicking on the returned Start button. If you are using Windows 8.1 on your desktop and whining about Metro start screen, can't find shut-down option, you feel that you need to press hundred mouse clicks to reach shut-down button. The new shutdown button is easier to find, which consequently costs you less time to shut down your computer. On the desktop of Windows 8.1 Update 1, you will find a title bar across the top of all Metro-style apps, making it easier to use a mouse to minimize and close apps, as well as snap them side-by-side next to each other. With the update, you can now see how the dedicated shutdown and search icons will operate. Clicking on the shutdown button opens up a dropdown box with the expected options: restart, shutdown, and sleep. The "Show Windows Store apps on the taskbar" option is added in Windows 8.1 Update. When this option is enabled, you will see the Windows 8-style apps displayed in the desktop taskbar with windows preview available. With this option, users who have a mouse can hover to the lower part of Metro apps to reveal the taskbar and switch between all apps. The taskbar can be displayed above Metro apps, and you can even activate it when you're on the Start Screen. According to the Verge, the Windows 8.1 Update 1 also includes an option to bypass the Metro interface, making it possible to boot up by default for desktop PCs. It's also said that Update 1 may introduce changes to cut memory and disk space requirements for Windows 8.1, making it run better on cheaper, smaller tablets. How do I get Windows 8.1 Update 1? If you already updated to Windows 8.1, you can follow the steps below to get the Windows 8.1 Update 1. 1. Open the Charms bar and click the Settings charm. 2. 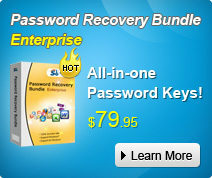 Click Change PC settings, then select the Update and Recovery category and click Windows Update. 3. Click the Check Now button to retrieve all of the latest updates. Then click the View Details link to review them. 4. Scroll down the screen and check the update for Windows 8.1 (KB2919394). Scroll to the top of the screen and click the Install button to install all checked updates. Microsoft is also expected to reveal more details about this update during the BUILD Developer Conference, which takes place April 2nd to the 4th. We'll keep you informed in our later posts. If you're into other Windows information, head to the Windows news and tips page.